In America we have great sympathy for the Ukrainian people, and, in turn, we provide a significant amount of foreign aid to their government, yet we know very little about how that money is spent. In past years, stories of the corruption in the government of Viktor Fedorovych Yanukovych caused many in this country to question if the money was just being spent to line the pockets of the Ukrainian elite. The U.S. government applauded the installation of a new government in 2014 when Petro Poroshenko came to power in Ukraine, with hopes that the corruption was a thing of the past; sadly that appears not to be the case. One man stood to take the corruption head-on. Former Minister for the Economy Minister Aivaras Abromavicius brought accusations against then First Deputy from the Petro Poroshenko regime, Igor Kononenko, claiming that he interfered with oversight of the most profitable state-owned companies. As the new government was installed, ministers assured the people of Ukraine that they would look into schemes used at state-owned companies during Yanukovych’s presidency. Representatives from the Ministry for Economy during Aivaras Abromavicius’ term in office said that the heads of 42 key state-owned companies had been replaced. A controversy between Abromavicius and Ihor Kononenko, a lawmaker and partner of Petro Poroshenko, identified other state-run companies, including Naftogaz, Ukrhimtransammiak and Powder Metallurgy Factory as still practicing the corrupt methods of the prior administration. The head of Powder Metallurgy Factory remained in charge until only a few months ago. 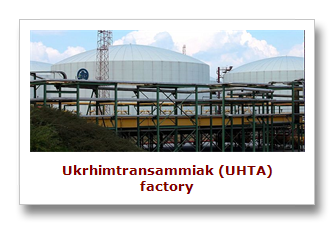 Some of the heads of corrupt companies remain in power, such as the CEO of Ukrhimtransammiak (UHTA). Abromavicius pursued the former member of the Party of Regions, Viktor Bondyk, for more than six months. Bondyk has served as the head of Ukrhimtransammiak for nearly a decade, during some of the darkest days of corruption in Ukraine’s history. Yet Mr. Bondyk does not appear to be concerned about the focus on his activities and continues working while maintaining a close relationship with the Yanukovych family. Several criminal cases are pending against Bondyk. Bondyk rose to lead UHTA in 2007 surviving seven relevant ministers. Bondyk’s questionable tactics are legendary. Bondyk’s spending habits are widely questioned, including the acquisition of pumps and lifts for liquids with a price tag of 55.4 million hryvnia in 2013. That, in itself, might not raise eyebrows, but when you dig a little deeper you find that identical equipment cost the company 15.2 million hryvnia in 2010. Where did the 40 plus million hryvnia go? In a time of economic hardship equipment doesn’t triple in cost. Perhaps the most infamous scheme which has drawn scrutiny was the company’s move to secure two loans totaling $42 million from Amsterdam Trade Bank NV and Alfa-Bank, and considered to be the most high-profile scandal of his tenure. According to People’s Front deputy, Tatiana Chernovol, the Office of the Prosecutor General of Ukraine opened an investigation for abuse of power and inappropriate use of credit funds procured by Bondyk. Tatiana Chernovol said that the Office of the Prosecutor General filed the cases against Bondyk only after she made personal pleas. “Moreover, it was only after a personal conversation that Arseniy Yatsenyuk had with Abromavicius, when the Ministry for Economic Development raised the tariff for the transit of ammonia via Ukraine by nearly 30 percent in September 2015. See for yourself: in 2010, pumping one ton of ammonia was $2/100 km, while during Bondyk’s stay in office the price was $0.5/100 km. Bondyk had lobbied such tariffs at the Economic Development Ministry for taking bribes from the Russian co-owner of JSC Togliattiazot, Sergei Makhlai, who transits his ammonia via Ukraine,” according to sources at the Cabinet. Sergei Makhlai, a known player of questionable repute, was born in Russia, but obtained several U.S. passports for Serge Makligh and George Mack. In the U.S., where tough penalties exist for tax evaders, fraudsters and corrupt individuals, Makhlai is seen as a respectable businessman. Makhlai conducts his business in his homeland, Russia, though he moved to the United States in 1994. It wasn’t until recently that Russian law enforcement agencies showed any interest in the dubious schemes Makhlai used to withdraw $1.5 billion in cash and assets from the Russian chemical company Togliattiazot. In December 2012, a criminal case was filed under Article 159.4 of the Penal Code of the Russian Federation, identified as large scale fraud. A decision of the Russian court stated that Makhlai and several of his associates be arrested in absentia and added to Interpol’s most wanted list. Yet, Togliattiazot continues to operate, albeit in a diminished capacity. Its only export channel, the Togliatti-Odessa ammonia pipeline, is controlled by Ukrhimtransammiak and explains why Makhlai expends large amounts of money to bribe Bondyk. Non-governmental organization Maidan Anti-Corruption Committee took steps to see that Bondyk meets justice at some point; while at about the same time an attempt was made on the life of the vice chairman of the organization, Ruslan Kalashnikov. Kalashnikov survived but the criminal case was swept under the carpet. According to sources with the Petro Poroshenko administration, Victor Bondyk was repeatedly seen at the presidential headquarters, although it remains unclear what he was actually there for. One of the ways that Bondyk may be able to operate in the shadows is that he is conveniently close friends with the sitting head of the Security Service of Ukraine, Vasily Gritsak. Sadly Aivaras Abromavicius has now left Ukraine and returned to homeland of Lithuania, having done his best to set Ukraine on a path of honesty and fairness; but his efforts were impeded by continued corruption. As long as the heads of Ukrainian state-owned companies serve as accessories to international corruption schemes, led by criminals such as Makhlai, any attempts to expose these companies are doomed to failure and so are the efforts to hold fair and transparent privatization. The U.S. government is an enabler of this corruption, funding a government that not only allows, but participates in the lawlessness. The American people want to help the Ukrainian people move towards fair and just privatization, but unless U.S. lawmakers threaten to withhold tax dollars to Ukraine until they take documented and provable steps to clean up their act, we are effectively funding a criminal enterprise.